This is the updated list of the very best Academic institutions in South Africa, with the best Law Faculty in South Africa. 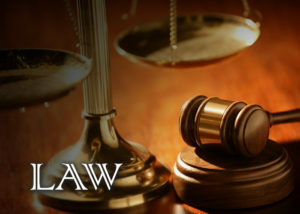 Universities in South Africa have produced a good number of the very best lawyers practising in South Africa and beyond. Most of these lawyers graduated from some of the universities you will be reading about shortly. Below is a list of the top best universities in South Africa where you can study law. The University of Witwatersrand is one of the federal universities in South Africa. It was founded in 1896 as the South African School of Mines. Since it began its activities, the university has performed excellently, and they have one of the best law school in South Africa. UCT was founded in 1829 as the South African College making it the oldest higher education institute in South Africa. Their Faculty of Law is a very strong and disciplined one. This can also be said about every faculty at this university. The University of Fort Hare is one of the top public universities in South Africa. The school was founded in 1916. Their law school is a hot spot every year for students looking to study in South Africa. University of the Free State was established in 1904. The university was formerly called University of the Orange Free State. Their faculty of law is one of the best law schools in South Africa. The University of Johannesburg popularly known as UJ is a public university located in Johannesburg, South Africa. The university was established on the 1st of January 2005 by a merger of existing institutions. Their faculty of law is one of the best law schools in South Africa. The university was formed on 1 January 2004 after the merger between the University of Natal and the University of Durban-Westville. Their College of Law is one of the best law schools in South Africa. The University of Limpopo was formed on 1 January 2005, by the merger of the University of the North and the Medical University of South Africa (MEDUNSA). When it comes to law, this university is one of the best places to study. The North-West University was established on the 1st of January 2004 by the merger of Potchefstroom University for Christian Higher Education and the University of North-West. Their faculty of law is one of the best law school in the country. Formerly known as Nelson Mandela Metropolitan University, the school was founded through a merger of three institutions in January 2005. Their faculty of Law is one of the seven faculties the school has. The University of Pretoria was established in 1908 and is located in Pretoria, South Africa. The university has nine faculties with the faculty of law being one of them and also one of the best law schools in SA. Rhodes University is a notable institution in South Africa. The university is located Grahamstown in the Eastern Cape Province of South Africa. Their law school is also a very nice one in SA. The University of South Africa which is popularly known as UNISA is the largest university system in both South Africa and Africa in terms of students population. The school was established on 26 June 1873. Most students in South Africa dream of attending UNISA. Just as high as the reputation of this university goes, so also is their law school. Stellenbosch University was established in the year 1918 and is one of the oldest universities in South Africa. Their faculty of law has produced some of the best notable legal practitioners in the country. The University of Vendapopularly known as Univen is located in Thohoyandou in Limpopo, South Africa. It is a public university that was established in 1982. It has one of the best law schools in South Africa. The University of the Western Cape (UWC) is a public university located in Cape Town, South Africa. The school was established in 1959 and also has a faculty of law amongst its list of faculties. The University of Zululand also known as Unizulu was established in 1960. It is located in KwaZulu-Natal, South Africa. Their Faculty of Law is a very strong and disciplined one. This can also be said about every faculty at this university.